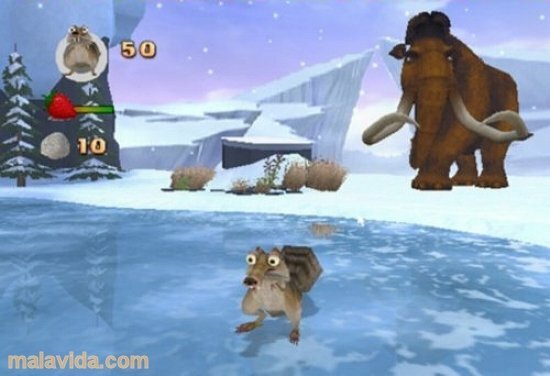 Eurocom, Amaze Entertainment and Vivendi Games were the developers that were given the task to transform the second instalment of the Ice Age, known as Ice Age 2: The Meltdown, animation film into a video game. 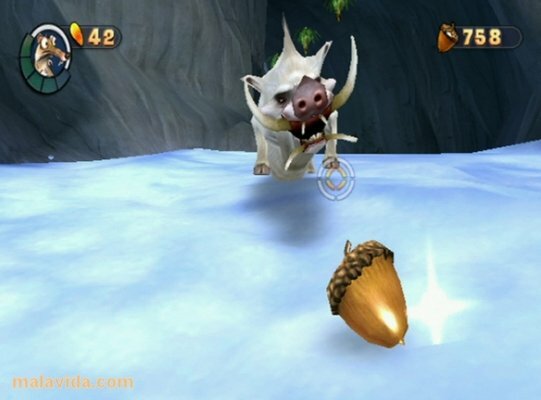 This video game adaptation is faithful to the film's story and starts with the end of the Ice Age. Thus, Ice Age 2 The Meltdown takes place at the end of the glacial period. 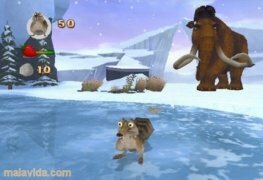 It is an action game that belongs to the 3D platform genre, where you mission is to save Scrat from the floods produced by the meltdown, with the help of Manny, Sid and Diego, while he hunts for acorns. 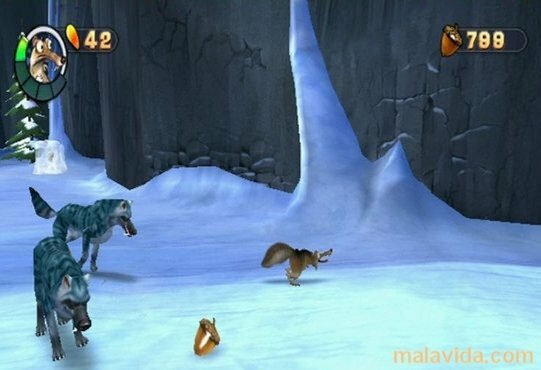 To do so, you'll have to take control of Scrat the squirrel and overcome all sorts of obstacles, while you move around different types of settings like caves, jungles, etc. The rest of the characters will help you manage your objective though numerous mini-games. 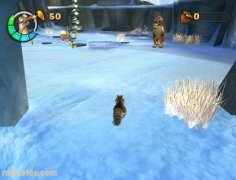 The best features of Ice Age 2 are its enormous map, the life system (very similar to the one used in the Sonic saga) and its variety, that will provide hours of entertainment. Download the demo of Ice Age 2 and try out the first level of the game. This is a demo with certain limitations.